This entry was posted in Review, Un-Cannes-y Valley and tagged caustic humor, cinematic deconstruction, Confrontational Classics, Luis Bunuel, Mexican Cinema, Score: 10/10, tapestries of human despair, Un-Cannes-y Valley on July 24, 2015 by jakewalters98. Federico Fellini, the grand master of Italian cinema, began his life behind a camera as a young lad among the neo-realists, a protege of sorts to De Sica and Rossellini and their own habits of redefining cinema forever. Fellini, like those masters of the form, sought to reject Hollywood convention and lay down a thick layer of everyday humanity with non-actors and grungier camera techniques less galvanized in Hollywood glamour and melodrama. This shift itself was a towering upheaval to the cinematic tradition, a tangible stimulant to directors everywhere to shake the foundations of film land and brace for impact. This entry was posted in Review, Un-Cannes-y Valley and tagged Federico Fellini, italian cinema, mythic beauty, Score: 10/10, tapestries of human despair, Un-Cannes-y Valley on July 19, 2015 by jakewalters98. This entry was posted in Review, Un-Cannes-y Valley and tagged British Cinema, David Lean, Score: 10/10, tapestries of human despair, Un-Cannes-y Valley on July 16, 2015 by jakewalters98. 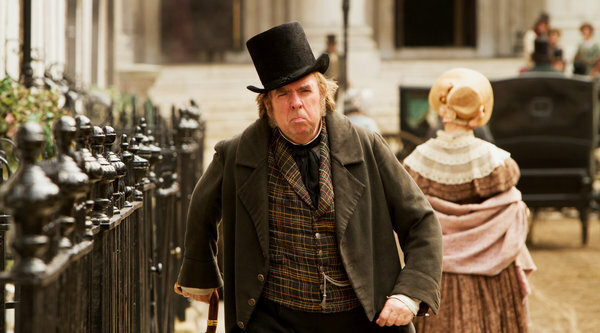 This entry was posted in Review and tagged Mike Leigh, oh-god-the-beauty, Score: 10/10, tapestries of human despair, that cinematography though, Timothy Spall on July 10, 2015 by jakewalters98.